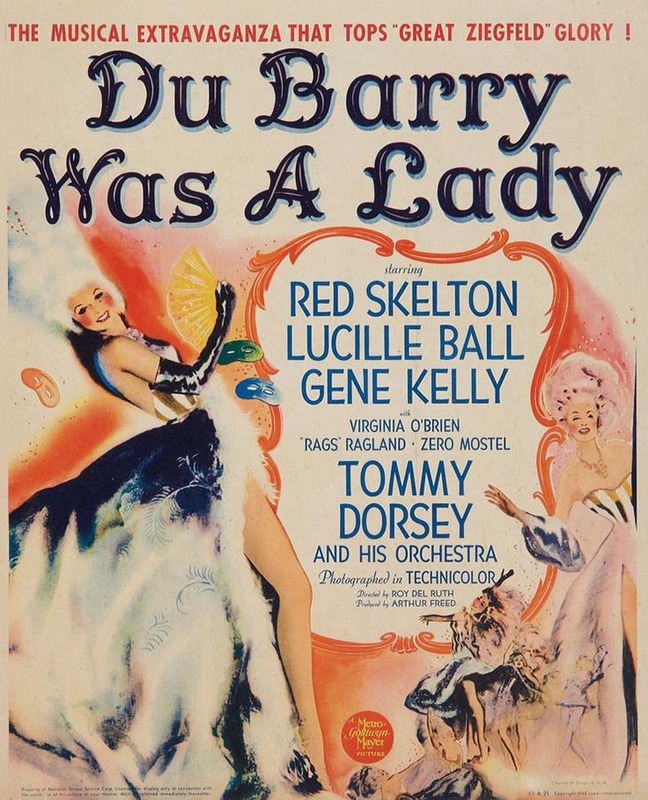 “Du Barry Was a Lady” is a 1943 American musical comedy film, starring Red Skelton, Lucille Ball, Gene Kelly and Tommy Dorsey and his Orchestra. 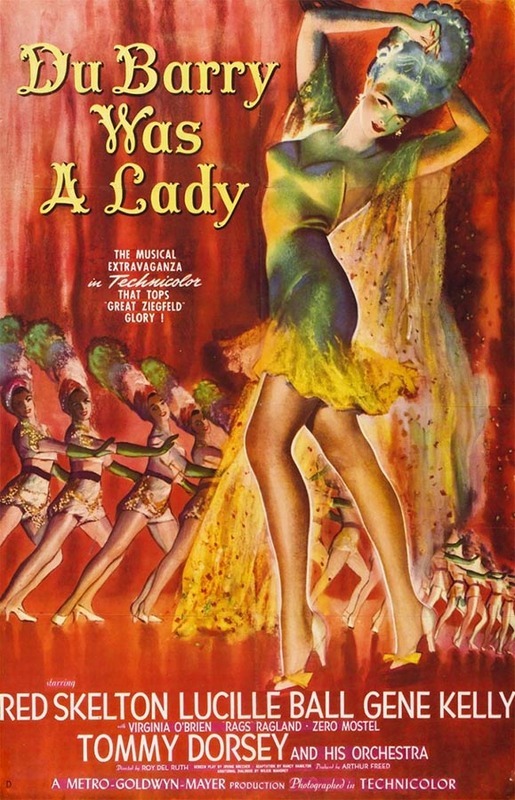 It is based on the 1939 stage musical of the same name. 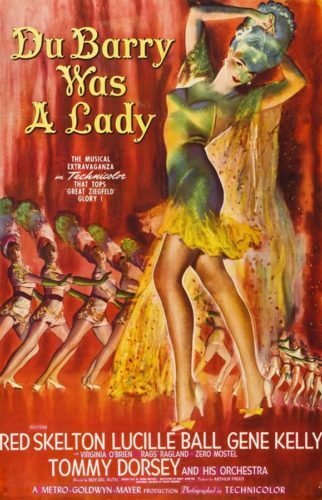 Shot in Technicolor, the film was directed by Roy Del Ruth and produced and distributed by Metro-Goldwyn-Mayer. The entertainer May Daly’s nightclub act includes her portrayal of Madame Du Barry of days of yore. 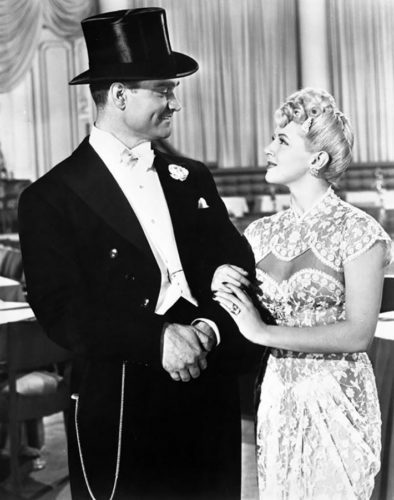 Equally smitten with her are coatroom attendant Louis Blore and master of ceremonies Alec Howe, but unfortunately for both, May persists in holding out for a wealthy husband, her current interest being a rich but snooty gent, Willie. A telegram arrives notifying Louis that in the Irish Sweepstakes he is the winner of a prize of $150,000. Louis immediately and publicly declares his love for May, who is teased by Alec that she now has no reason to stay with Willie and avoid Louis, who is a sweeter fellow. Then after accidentally swallowing a drugged drink, Louis falls into a deep sleep and dreams that he is King Louis XV, holding court with Madame Du Barry (May) and holding off her colorful suitor, The Black Arrow (Alec). After swordplay and the sentencing of the Black Arrow to the guillotine, Louis awakens from his dream. He realizes that May is in love with Alec and generously offers them a wedding gift of $10,000. May declines, saying she has changed her mind about money’s importance. 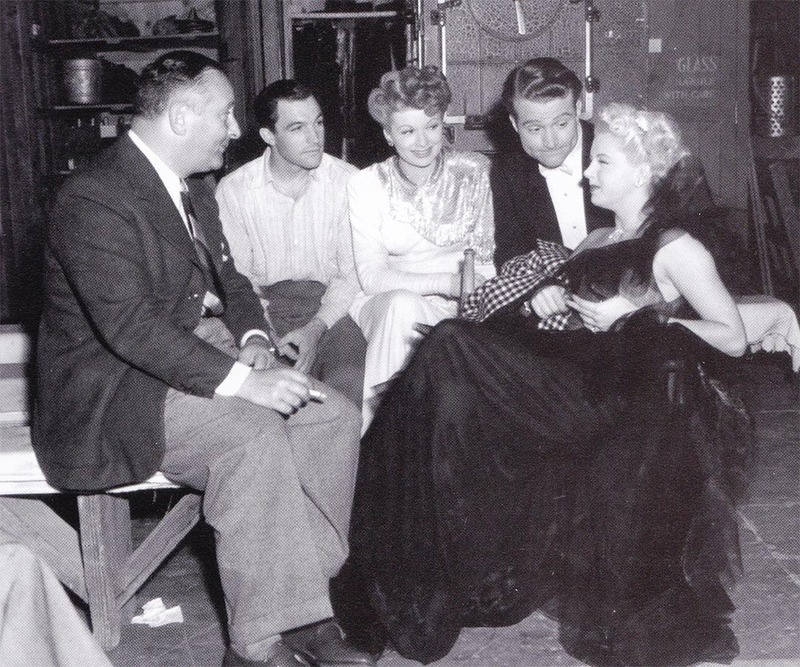 Everybody ends up happy until a tax collector comes to demand that Louis pay him $80,000. 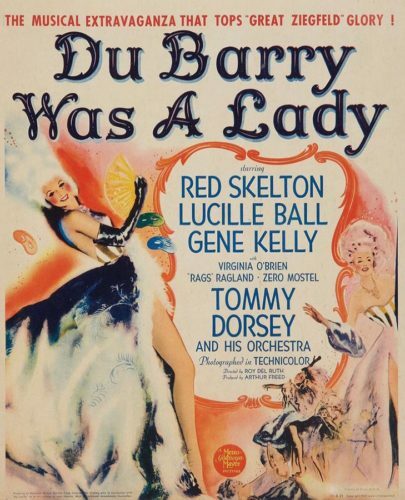 Like “The Youngest Profession” “Du Barry Was A Lady” was another guest spot, only briefer (less than 15 seconds of screen time). It was more of a surprise appearance and was brief enough so that it could be filmed on one of Lana’s free moments from “Slightly Dangerous“, which was shooting at the same time.